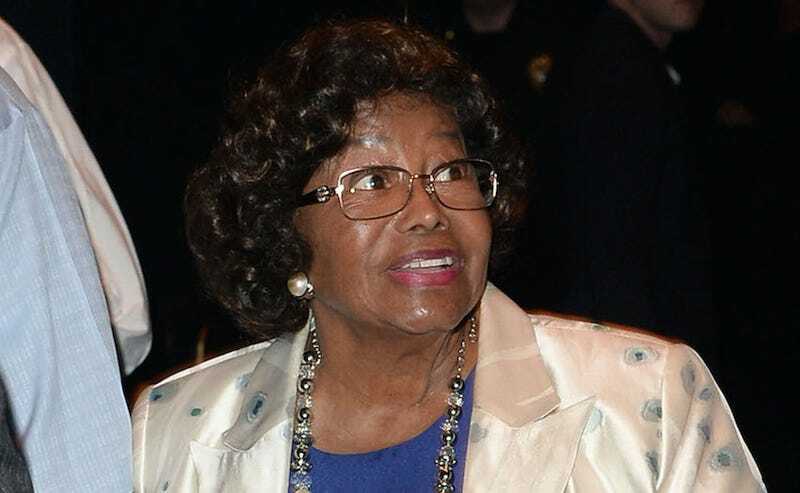 Well, this is upsetting: Katherine Jackson, the 86 year old matriarch of the Jackson family has allegedly been suffering from years of abuse at the hands of her nephew and driver Trent Lamar Jackson, according to court documents obtained by People. We’re told Trent believes some of Katherine’s kids will now try and influence her to put pressure on Michael’s estate to give her a bigger piece of the pie, and he believes they want to cut themselves in on the action. Here’s the problem with Trent’s theory. Katherine has no right to simply get more money because she wants it. She gets a healthy stipend, and the duty of those in charge of the estate is to preserve and grow the assets for the benefit of Michael’s 3 kids and his designated charities. A judge granted a restraining order that requires Trent to move out of the guest house and surrender all passwords, keys and combinations at once. Meanwhile, Katherine is in London visiting her daughter, Janet and is reportedly “afraid to go home with Trent there” and fears physical harm once he finds out that she’s taken legal action to have him fired. Good lord, hasn’t this woman been through enough? Here is the reason why Krislian Rodriguez thinks she was eliminated from America’s Next Top Model: because she once dated Calvin Harris and Rita Ora is still salty about it. Who is telling the truth? Who is doing a lie? Which pretty-ish person is right? Who do you think it is? Who?! Mmm, okay, so the backstory with this thing here is that Kim Kardashian heard that her good friend Carine Roitfeld hit 1 million followers on Instagram and s instead of making her a cake to celebate, she, uh, did this. E! Online says that “she turned making a salad into a sexual feast for our eyes.” I say that Kim Kardashian has absolutely no idea how to make a salad because who in the hell snaps a cucumber in half like a twig and throws it on top of some mesclun mix, then dumps half a bottle of Wishbone Italian on top of it and calls that a freaking salad?!? !